I went through a phase where I just wasn't interested in sheer lip glosses. I just felt that sheer glosses didn't suit me or they made my lips look far too huge. However, I recently received some products from Liz Earle which included these two sheer lip glosses in Honey Suckle (07) and Cherry (01). I was extremely impressed. 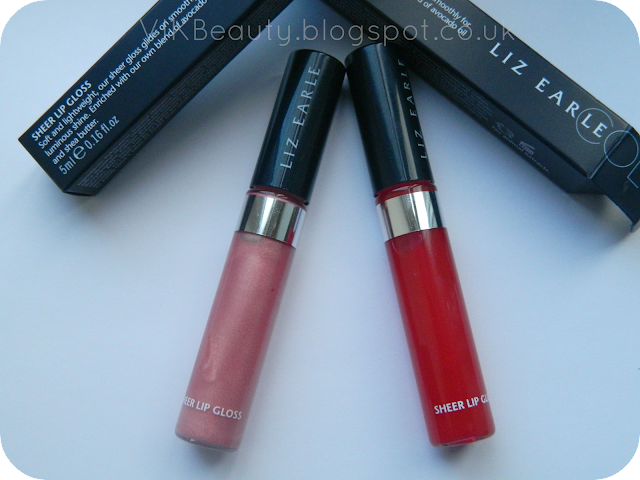 These are my first ever lip glosses from the Liz Earle range so I was eager to give them a try and review them. For those who may not know, Liz Earle is a well known British beauty brand providing quality skincare products that deliver visible results. The brand expanded their product offerings to include makeup in May 2012 by launching the Liz Earle Color range created using natural ingredients as far as possible. 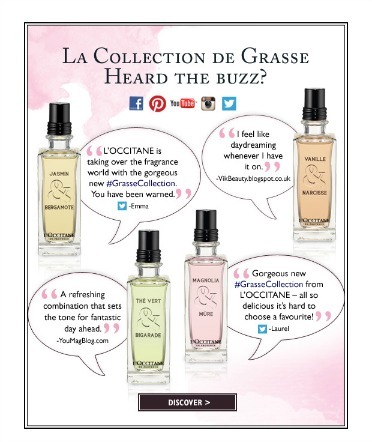 To read more about their offerings, click here. 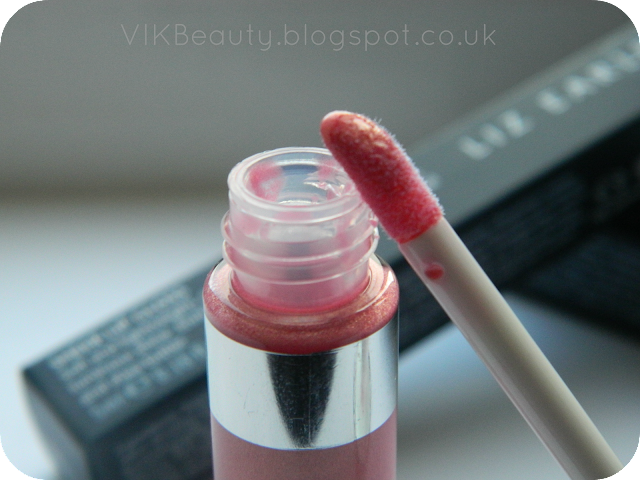 "Soft and lightweight, our sheer gloss glides on smoothly and enhances lips with a luminous shine. 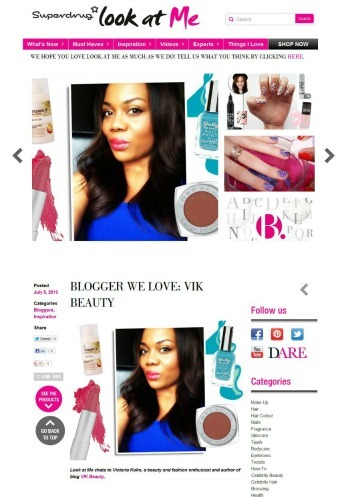 Enriched with our own blend of avocado and shea butter to leave lips feeling soft." 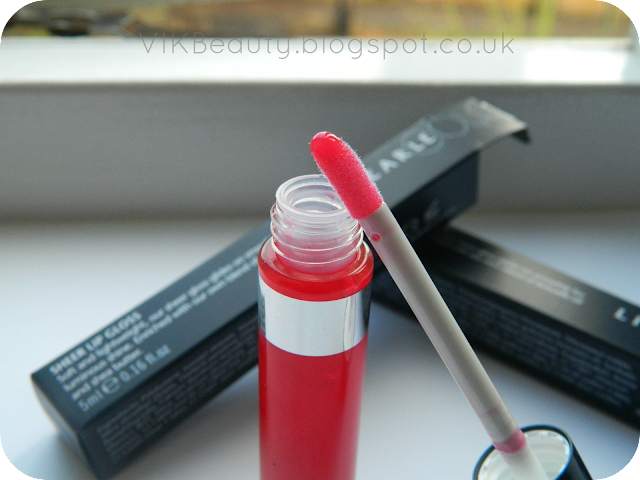 The lip glosses are extremely smooth when you apply them and your lips feel very soft and nourished. It hasn't got that horrible gooy sticky feeling you can get with some lip glosses or the annoying drying effect you can get. As these are sheer lip glosses, I do not wear them on their own (personal preference), I wear it over some lipstick. 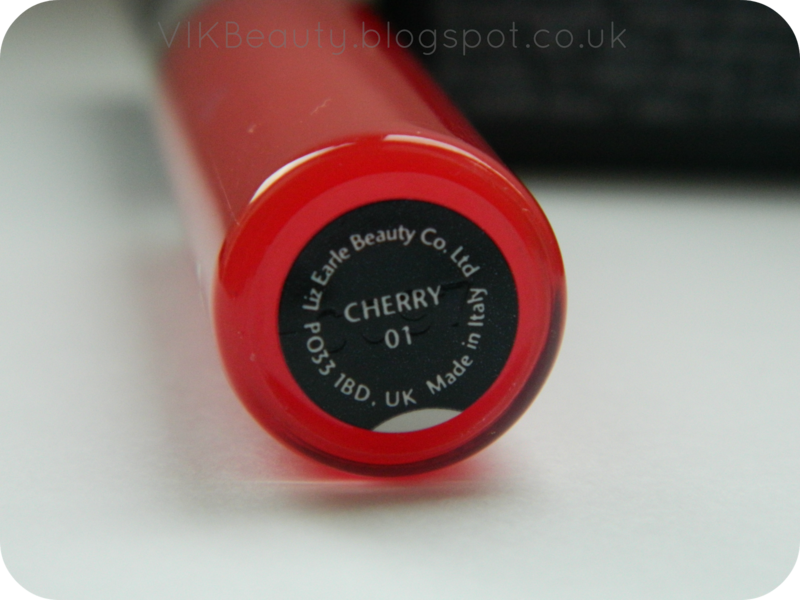 This is my favourite shade out of both lip glosses. Honey Suckle is a soft peachy pale pink with a subtle gold shimmer. I really like this one. It compliments a pale pink lipstick well. Can you see the gold shimmer? This is one of the popular selling lip glosses in the range. Cherry is a sheer, clear red lipgloss. Once worn, it adds a hint of red to your lips. As mentioned earlier, I personally wouldn't wear them on their own but as an accompliment to a red lipstick. I found that the lip glosses are long lasting (lasted for a few hours provided you don't eat or drink) before I needed to reapply them. 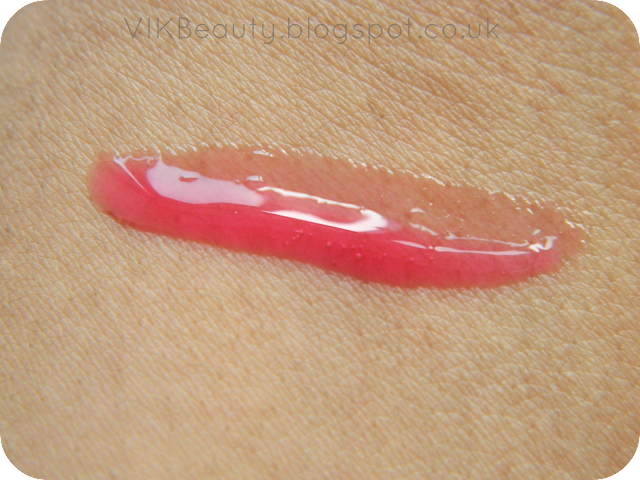 The lip gloss retails at £13.50 for 5ml which I think is reasonable for a product of good quality. You can pick this up at any Liz Earle store or online. Click here. I will definitely be purchasing Honey Suckle again when it runs out! Have you tried any products from the Liz Earle makeup range? I have this lip gloss in red but I have not tried it yet. I have just recently come out of a lip gloss phase and now I am all about the lipstick but after reading your review I think I might have to give the Liz Earle glosses a try.